UK200 Group | Which professionals should be liable for losses on a fraudulent property sale? Home > News And Blog > Blog > Which professionals should be liable for losses on a fraudulent property sale? Which professionals should be liable for losses on a fraudulent property sale? The Solicitor had to be sent for. And what’s more no property, too’. Would have many more clients to their name. To pay ruddy Insurers not us! ‘. This was posted in response to the Gazette’s report on the case of Dreamvar v Mischon de Reya which was heard by the Court of Appeal in May of this year. The Court of Appeal decision followed earlier litigation and a previous High Court decision, placing liability for the actions of a fraudulent property seller, (impersonating the true seller), solely on the shoulders of the buyer’s solicitor – extremely unfairly, in the view of many practitioners. The appeal decision partially reversed the Court’s first instance decision. The Court of Appeal ordered both firms involved (Mishcons, acting for the buyer, and national firm Mary Monson Solicitors, for the seller), to make financial contributions towards the losses of the innocent party. The case sets an important precedent on liability for compensating a party who has suffered losses in paying out funds to buy a property, which is not owned by the people claiming to be the sellers. The situation now, is that lawyers representing a purported seller have undeniable responsibility for carrying out sufficient checks on their client. If those checks are not carried out correctly, or at all, then the representatives of the buyer cannot be held solely responsible for the funds which are lost as a result. In the words of the solicitor who represented Dreamvar, the claimant: “the vendor’s solicitor is in the best position to carry out reasonable due diligence in investigating, to verify the vendor’s identity and ownership of the property for sale. If the original judgement had been upheld it would mean that even if a seller’s solicitor was grossly negligent, they would still have no liability to the defrauded purchaser. In contract, the purchaser’s solicitor was (prior to the approval decision) left likely to be held solely liable for breach of trust, even if they had not been negligent”. Practice Point: it is, correct, standard, and compulsory practice for solicitors, and all other reputable professionals, to seek and carefully check identification in respect of a client before taking on new instructions, but the potentially disastrous consequences of failing to do so adequately or thoroughly have been made clearer than ever. 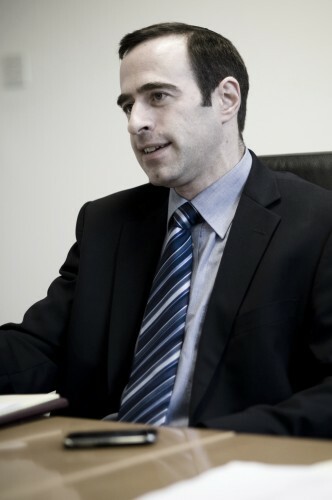 In addition to the anti-money laundering, client due diligence (“CDD”) responsibilities which solicitors and other UK professionals have been under for many years (previously known as “know your client-KYC”) failure to comply with which, would represent regulatory, and in many cases, criminal breaches of responsibility, there is now clear precedent for a solicitor acting on a sale for a party whom the solicitor has not identified adequately, to be liable to compensate the intended purchaser, who has incurred loss as a result of the selling solicitor’s lack of care. The Law Society and Solicitors Regulation Authority have taken numerous, repeated steps to warn solicitors of the “badges of fraud” which are likely to be evident in certain high-risk situations. For example, acting for a new client for the first time, when there is no obvious reason for that client making contact and instructing the firm, especially if the client has only recently, apparently, purchased the property, using a different firm; situations where new clients are reticent in arranging to meet with their new solicitors, or dilatory in providing identification documents; situations where instructions appear to be given by third parties on behalf of a purported underlying client, but minimal, or no contact is forthcoming from the supposed client themselves. As a solicitor acting for a property buyer, a few years ago, I became suspicious on noting that a high-value Central London property was being sold via a small firm of solicitors in an outer suburb of London, nowhere near the property itself, with only a single individual running the conveyancing department, who had only been qualified for around a year. The quality of the property information forms and standard of conveyancing generally, was exceptionally poor. Not what one would have expected in the case of an apparently wealthy individual, selling a high-value residence. I alerted our client, the intending purchaser, to the potential fraud and he was able to track down the true owner of the property. He established that this was indeed an attempted fraud, which we were then obliged to report to the authorities. The clear message is to be alert at all times, to high-risk situations.